HBO’s My Brilliant Friend stars were chosen from 9,000 children to portray two of the most elusive characters in literature. Sitting with the Italian stars of HBO’s My Brilliant Friend adaptation is like observing two sets of sisters. 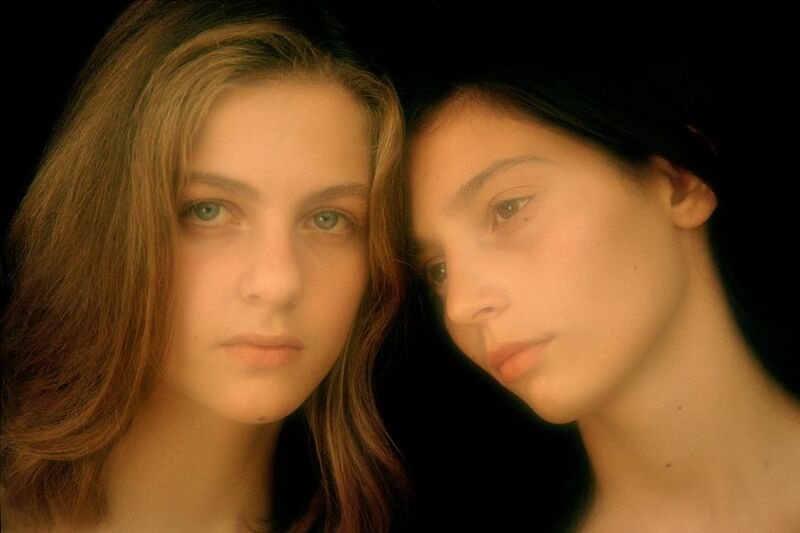 The Lilas — Ludovica Nasti, 12, and Gaia Girace, 15 — are raven-haired and intense. Ludovica frantically waves her arm every time she wants to speak, while teenage Gaia offers a haughty stare. 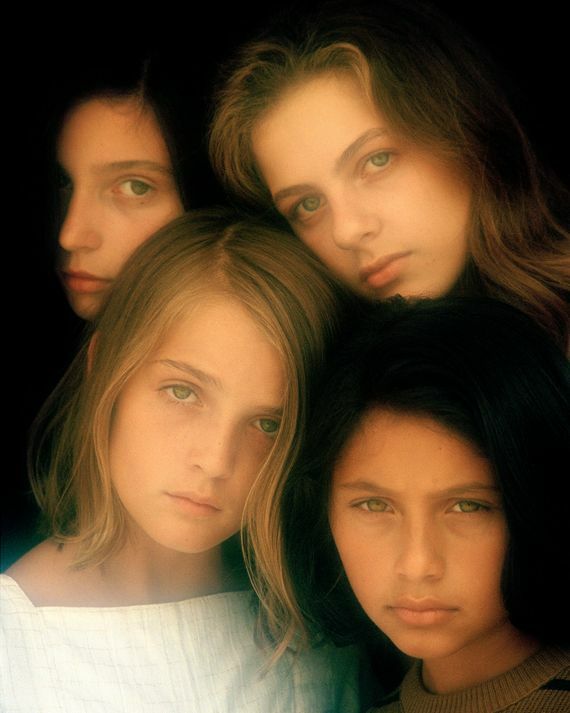 The Elenas — Elisa Del Genio, 11, and Margherita Mazzucco, 16 — are timid by comparison. With their dirty-blonde hair and large green eyes, Elisa and Margherita appear shy and serious and somehow more accessible. Up until now, lunch at an L.A. restaurant has proceeded calmly through interpreters, as the girls devour pasta and pizza that miraculously doesn’t offend their palate. But when the topic turns to the true identity of author Elena Ferrante, who famously writes under a nom de plume, the table erupts in a chorus of si, si, si and no, no, no as everybody — including the actresses’ mothers — starts speaking at once. The interpreter struggles to keep up. “They’re all saying they think they know who it is,” she explains. “It’s a writer that we met in L.A., but she’s Italian!” shouts Gaia. “There’s so many things that don’t jive, so we think it must be her.” She reaches across the table to high-five Elisa, who grins in agreement. Ludovica and Margherita shake their heads. They prefer the prevailing rumor, introduced by a New York Review of Books blog two years ago, that Ferrante is a Rome-based translator, or possibly a college professor. During the first phase of casting, the girls were asked to participate in an interview. “They talked about themselves, in particular about their fears and how they saw themselves in the future,” says Muccino, though she doesn’t divulge what was shared. Then came multiple auditions from everyone. The younger girls rehearsed climbing the stairs to confront Don Achille after losing their dolls in the cellar. The older two were given a scene from episode three (among others) in which Lila defends Elena by taking a knife to Marcello Solara’s throat. The role of Elena proved a harder find. “Elena is out of focus. She’s our point of view in the story, but you never feel her weight,” says Costanzo. “I was looking for someone acquiescent, soft; someone who is always unseen.” In an uncanny overlap with their sometimes passive character, Elisa and Margherita stumbled upon the part almost completely by chance. Both were absent from school on the day auditions were held. Elisa was only discovered when she accompanied her older brother to an audition for Enzo, the troubled schoolboy who eventually becomes a major love interest (he didn’t get the part). Margherita received a flier for the open casting call from a friend on the street and asked her mom if she could check it out. Costanzo recognized both of his narrators as soon as he saw them, though their qualifications were practically ineffable. “It’s so hard to find a presence that is as strong as a protagonist needs to be, but that doesn’t cover the light of Lila,” he says, noting that Ferrante shared her approval via email.